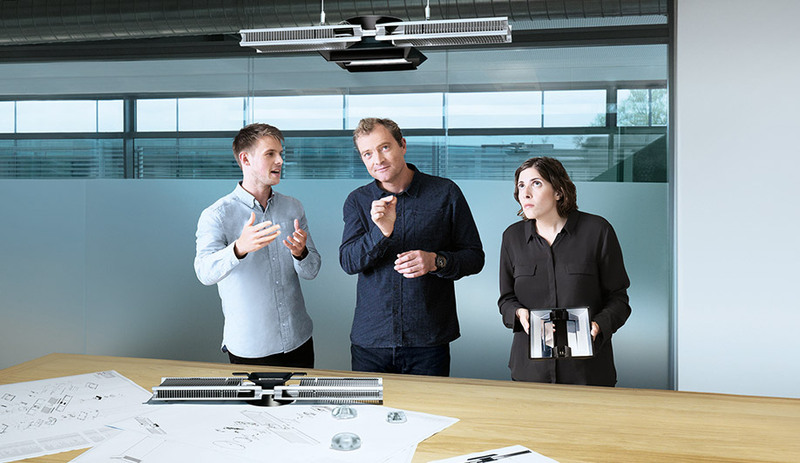 Jake Dyson and his team spent a decade engineering the light for maximum energy efficiency. Adjustable shutters allow users to flip the light’s fins for downward or upward illumination. What’s next after the LED revolution? 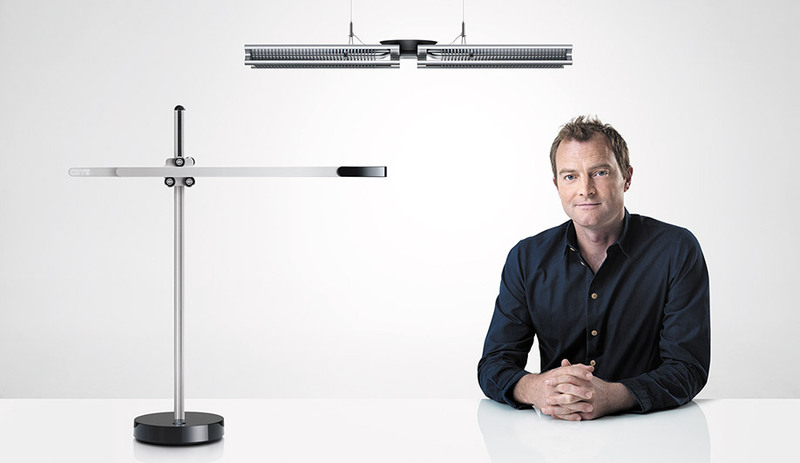 Jake Dyson says there are many more ways to save energy without compromising on illumination. 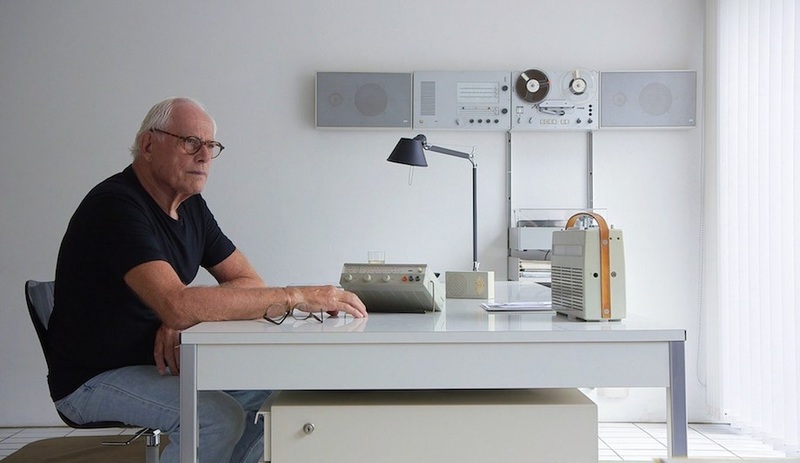 Known for its robotic vacuum cleaners and state-of-the-art hair dryers, Dyson is taking on lighting as its next frontier. 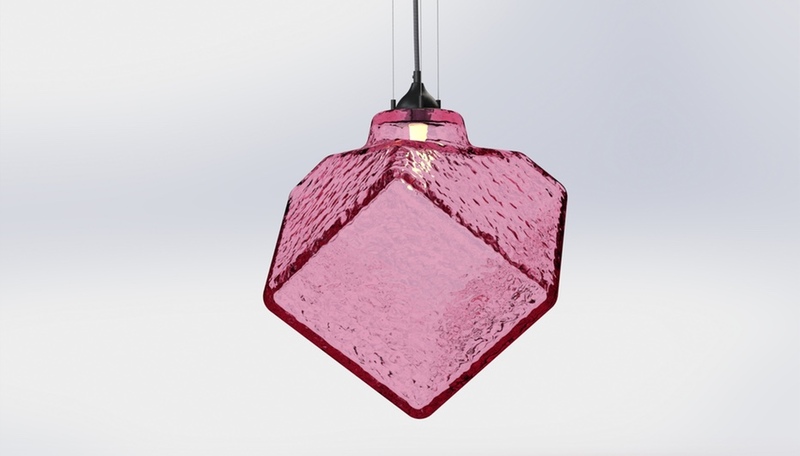 The pendant is embedded with a water-and-copper-tube cooling system that extends the life and increases the efficacy of the LEDs. 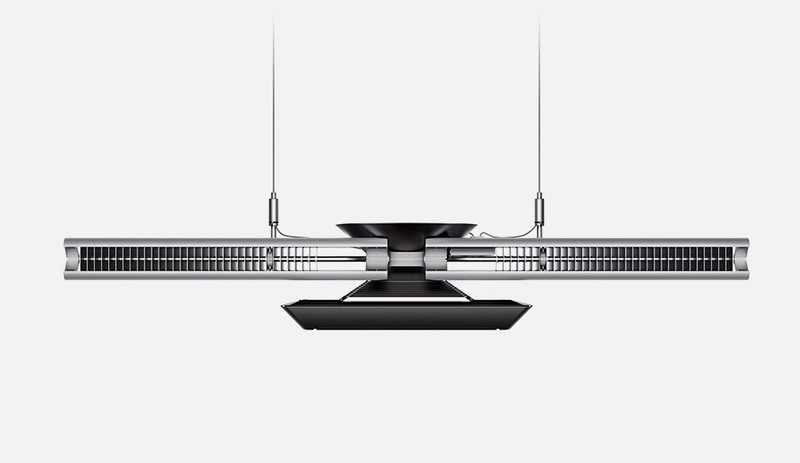 After a decade of R+D, the Cu Beam Duo has launched, and it looks, to Dyson at least, “like a radiating satellite.” So what’s so different about this multi-purpose pendant? Quite a lot, actually. 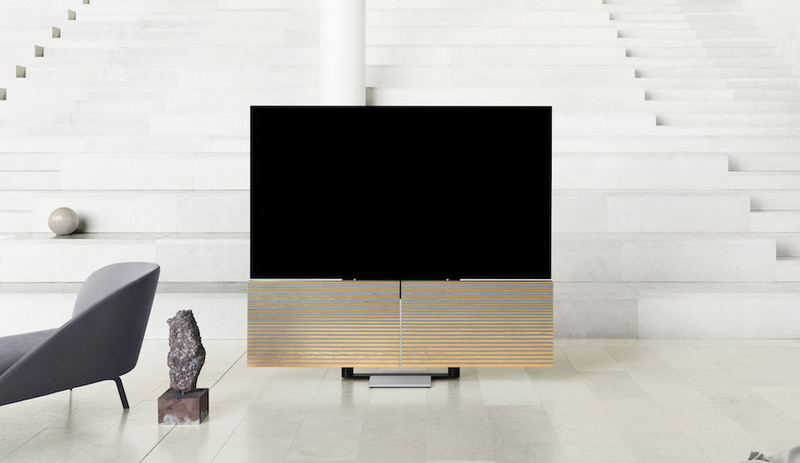 Instead of the reams of tiny diodes found in most overhead lights, the Cu Beam Duo has just two large, rectangular LEDs: one facing downward, illuminating an area of 3.2 by 1.6 metres; and the other facing upward, so that ambient light bounces off the ceiling to give rooms a soft, muted glow. 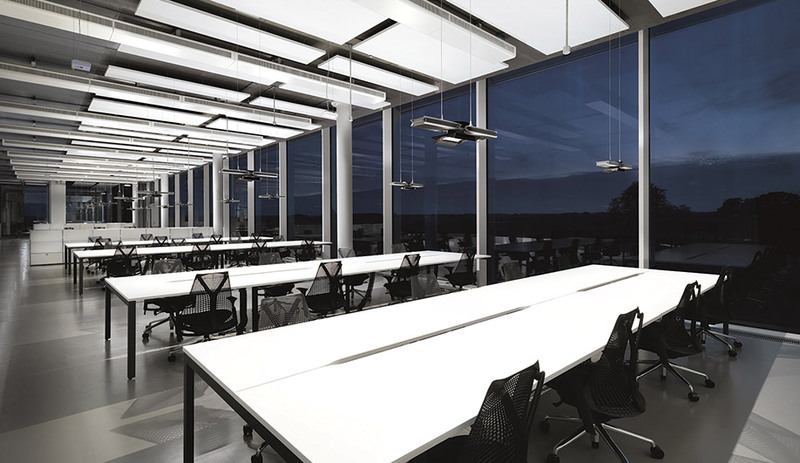 The lenses, made from acrylic glass, steer the light at precise angles by way of adjustable one-touch shutters and reflective surfaces, allowing users to set the light to their exact needs. The result is light that projects onto a working surface in a uniform rectangle, which can be adjusted for size and intensity. What has made the fixture so energy efficient is the embedded copper-tube cooling system located between those high-power LEDs. Six vacuum-sealed copper tubes each contain a drop of water that transfers heat away from the light source and dissipates it evenly through visible aluminum fins – essentially the light’s wings. There is an endless cycle of heating and cooling going on, in which the water turns to vapour and then condenses. This tiny energy cycle means fewer LEDs are needed for the same amount of illumination.